Why did five members of the Conant family and their brother-in-law enlist in the Armed Forces to serve in World War II? At that time, the military was a rite of passage for those who considered themselves patriotic. Their country was attacked and people wanted to serve their country. Let’s take a look at those Conant Family Soldiers who put their lives on the line to preserve freedom in their country, The United States of America. 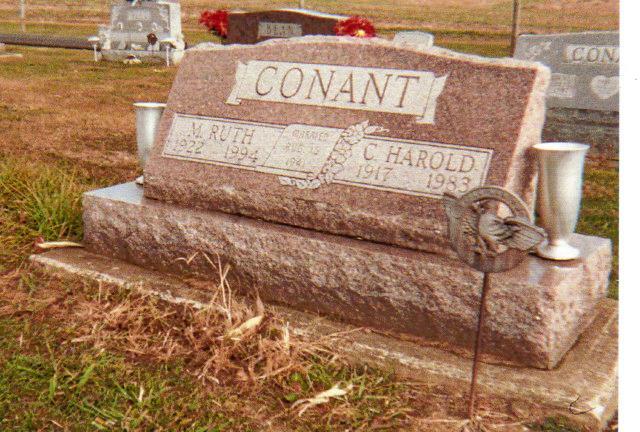 Charles Harold Conant of Delaware County, Ohio and one of the older sons of Charles and Crystal Conant was one of eight children. Harold was born June 22, 1917 and at the age of twenty six, enlisted in the Army on February 18, 1943 for the duration of the war and served as a Private and then a Tech. Sgt.. In 1945, he served in Europe. After the war, his occupation was Erector Hydraulic Press. He died on April 24, 1983 and is buried in Maple Grove Cemetery in Chesterville, Morrow County, Ohio. Donald P. “Danny” Conant was born in 1921 in Delaware County and enlisted as a Private in the Army at the age of twenty two on March 25, 1943 at Fort Hayes in Columbus, Ohio. Pfc. 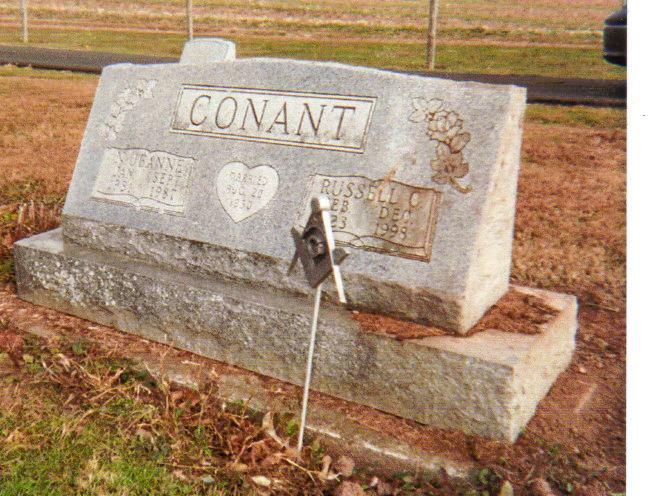 Conant served at Camp McCain, Mississippi and then was an Aviation Cadet at Moorefield, Texas. Next he was enrolled in an Air Crew course at Xavier College in Cincinnati. After being sent overseas, Danny, a Private in the 26th Infantry of the First Division, and his brother, Russell, were at the front together. Russell was wounded and had to fall back and didn’t see any more of Danny. He believed he was a Prisoner of War. In the Sunbury News of December, 1944, it stated that Danny was missing in action. Dan Conant had been taken prisoner on November 29, 1944 and was in German prison camp M Stammlager 11A. He wrote home from there and said he was ok and in good health. Danny Conant and other prisoners were liberated March 16, 1945 when the Allies captured the German prison camp. While in the Army, Donald “Danny” Conant was awarded the American Campaign Medal, the World War II Victory Medal, the Good Conduct Medal, the Combat Infantryman Badge, and the Purple Heart. On May 24, 1945, Pfc Dan Conant arrived home on furlough and stayed at the home of Kenneth Link in Sunbury. In September 1945, Dan transferred from Camp Maxey, Texas to Camp Plauche in New Orleans, and in December 1945 was discharged from Camp Fannin, Texas. After his Army discharge, he drove trucks for Glenn Hoover and Kenneth Link, then served as a Sunbury Rural Mail Carrier for thirty two years. He was also Mayor of Sunbury and a Sunbury Village Councilman. 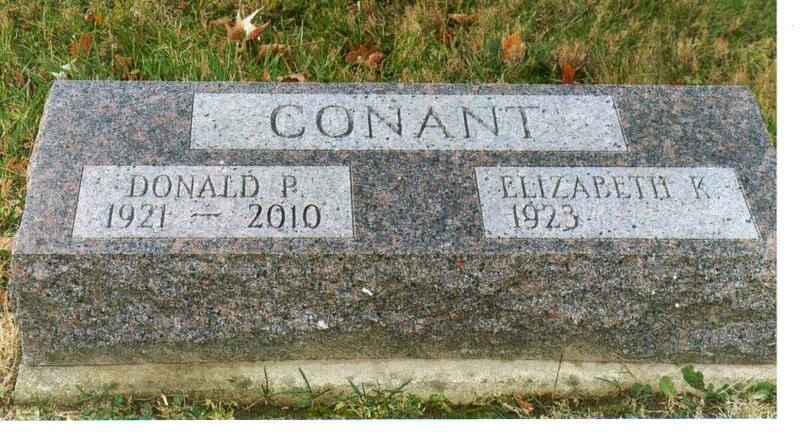 Dan Conant died on September 25, 2010 in Delaware and is buried in Sunbury Memorial Park. 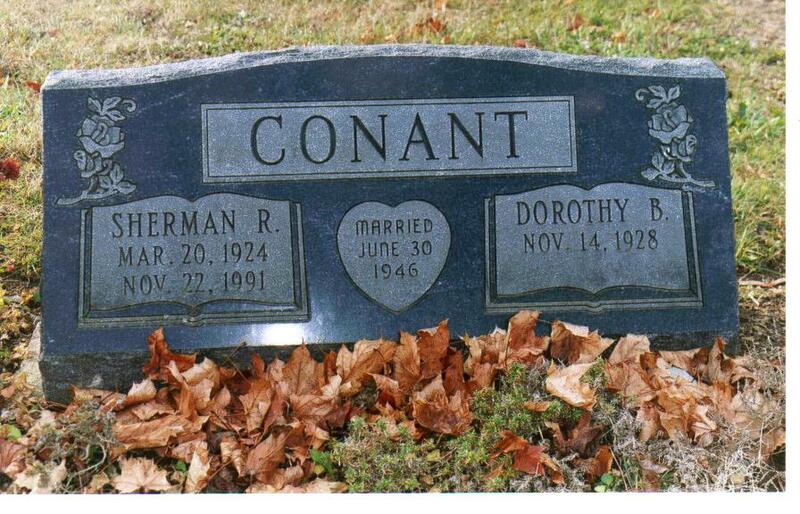 Dan Conant’s wife, Elizabeth “Bebe” Knoderer Conant, had a patriotic brother in World War II, Anson Scott Knoderer. Anson was born in Delaware County in 1925. He enlisted in the Army in August 1943 at Columbus, Ohio Private Knoderer was sent to Camp Fannin, Texas for basic training and then moved to Camp Meade, Maryland. In April 1944, he was stationed in Italy. Corporal Anson Knoderer went through Rome, Italy and really liked it in June 1944 and then was in a campaign above Rome. Anson and a buddy entered a building and encountered a group of Germans hiding there. The Germans laid down their arms with no resistance. Anson told that while in the mountains of Italy, his unit ran out of rations and had to kill hogs and chickens for food from nearby farms and sometimes had to eat mule. In September 1944, Anson was recovering from an operation to remove shrapnel in an Italian hospital. In December, he was sent to an Army Hospital in South Carolina and in January to a hospital and convalescence camp in Springfield, Missouri and then to a hospital near Camp Atterbury, Indiana. Knoderer received a Purple Heart and two Battle Stars. 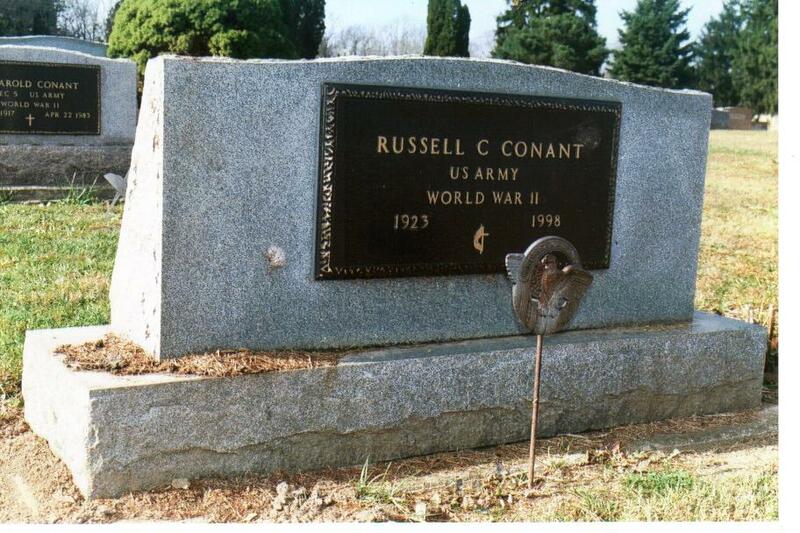 Russell C. Conant was born in 1923. He enlisted as a Private in the Army in January 1943. As mentioned above, Russell served in Germany where he was wounded in action. After his discharge from the Army, he served as a Rural Mail Carrier for twenty five years and resided in Mount Gilead. He died December 30, 1998 and is buried in Maple Grove Cemetery in Chesterville. 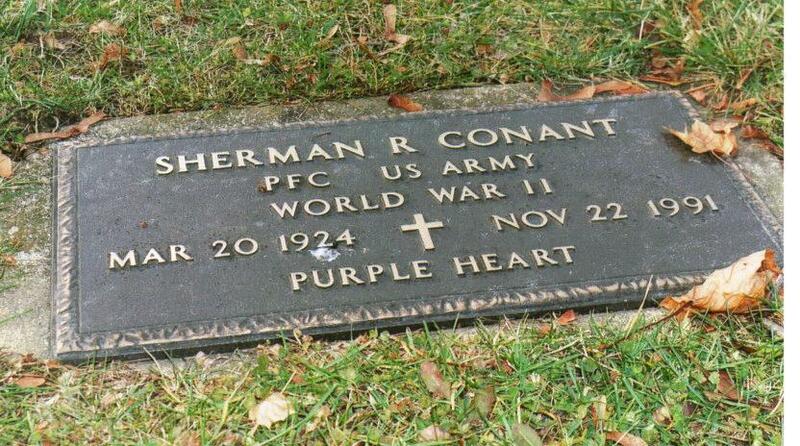 Sherman Richard Conant was born in 1924. At the age of nineteen, he enlisted as a Private in the Army at Columbus, Ohio on January 19, 1943 and for the duration of the war. Sherman was wounded twice in European action and then went back to the front. resident of Sunbury where his occupation was draftsman/surveyor for Delaware County. Sherman died November 22, 1991 and is buried in Sunbury Memorial Park. 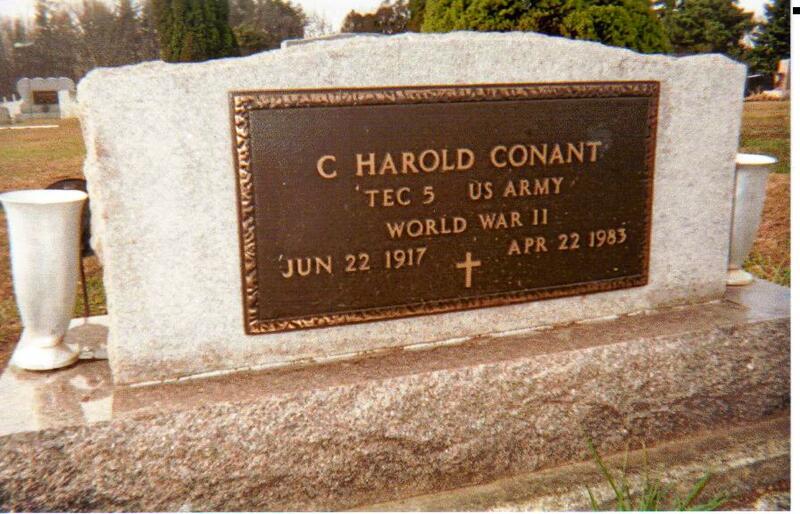 The fifth Conant brother who served his country was Carl Loren Conant born in 1925 in Fredericktown, Ohio. Carl served in the U. S. Navy. On January 1, 1944, Carl arrived in New York on the ship Explorer that sailed from Gourock, Scotland and arrived on the same ship into the port of New York on November 26, 1944. Carl served in the South Pacific during the war. Fort Lauderdale, Broward County, Florida was the last residence of Carl where he died on March 8, 1980. Anson and family resided in Missouri after the war. War is about people- for the soldiers, it changed their lives forever because of the things they had to see and do to survive. Let’s appreciate what the Conant Family must have gone through so that we can have the freedoms we enjoy today. Freedom is not free. Thank you for your services and sacrifices, Danny, Harold, Russell, Sherman, Carl, and Anson. Your families must be mighty proud of you as those who knew you are proud of you. Markers for Harold and Russell in Maple Grove Cemetery in Chesterville, Morrow County, Ohio.